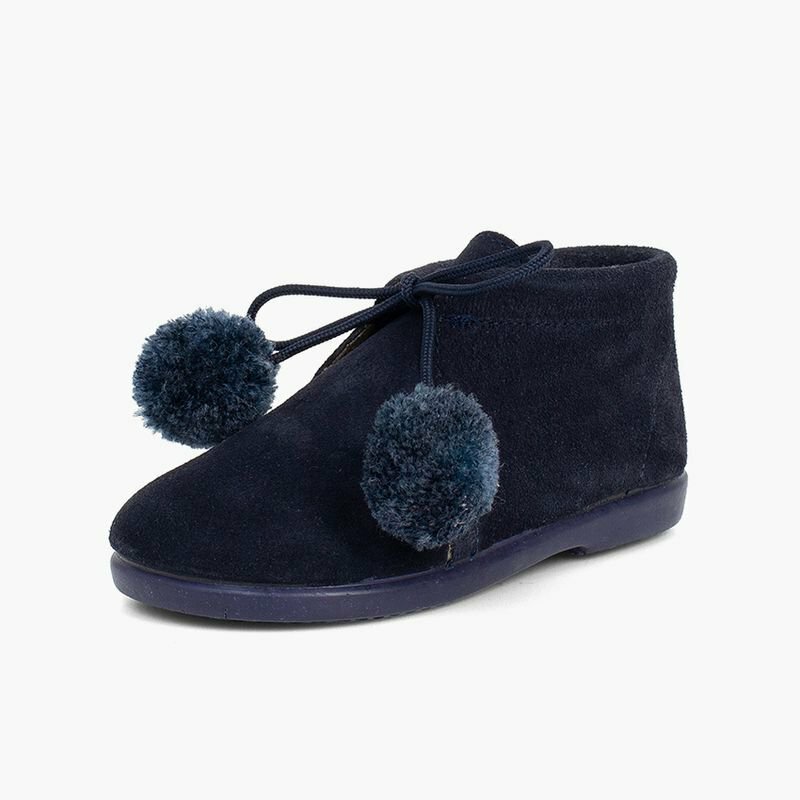 Have you seen these beautiful little booties with pompoms for boys and girls? 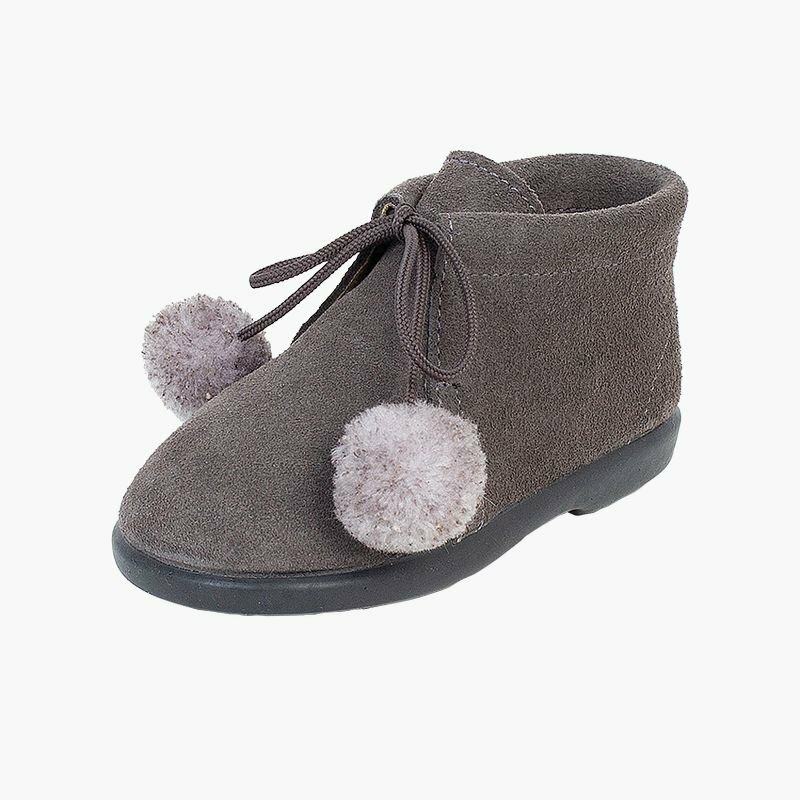 Once you put them on your little ones, you won't ever want to take them off them, as with these booties they'll be simply adorable! 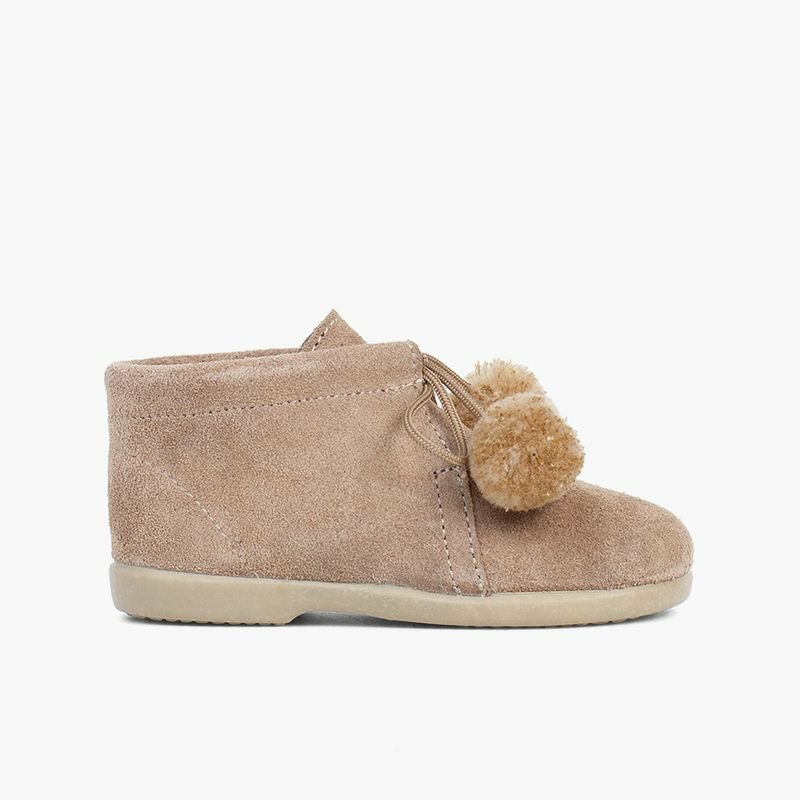 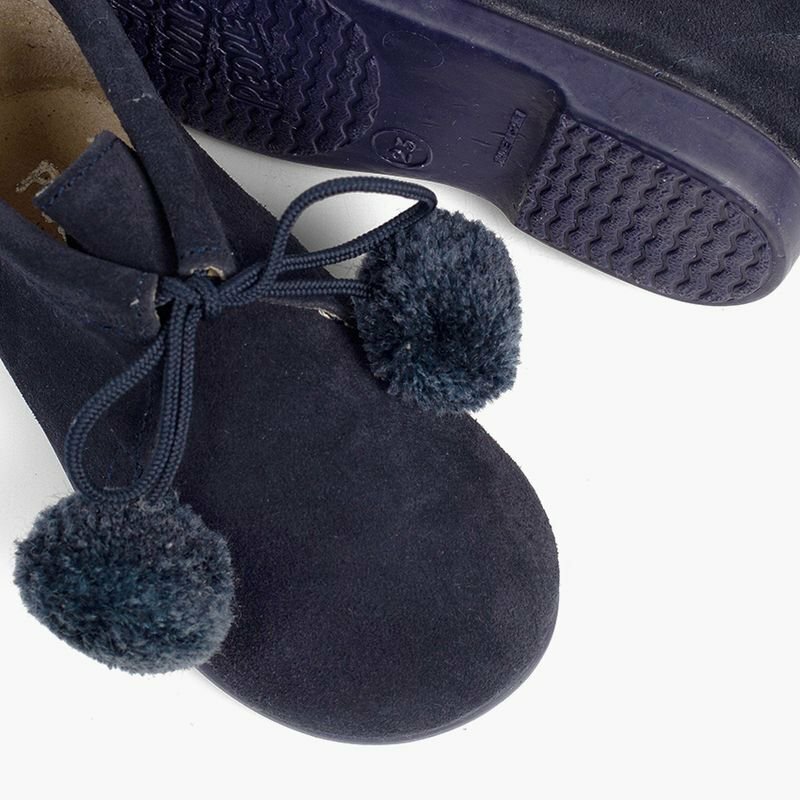 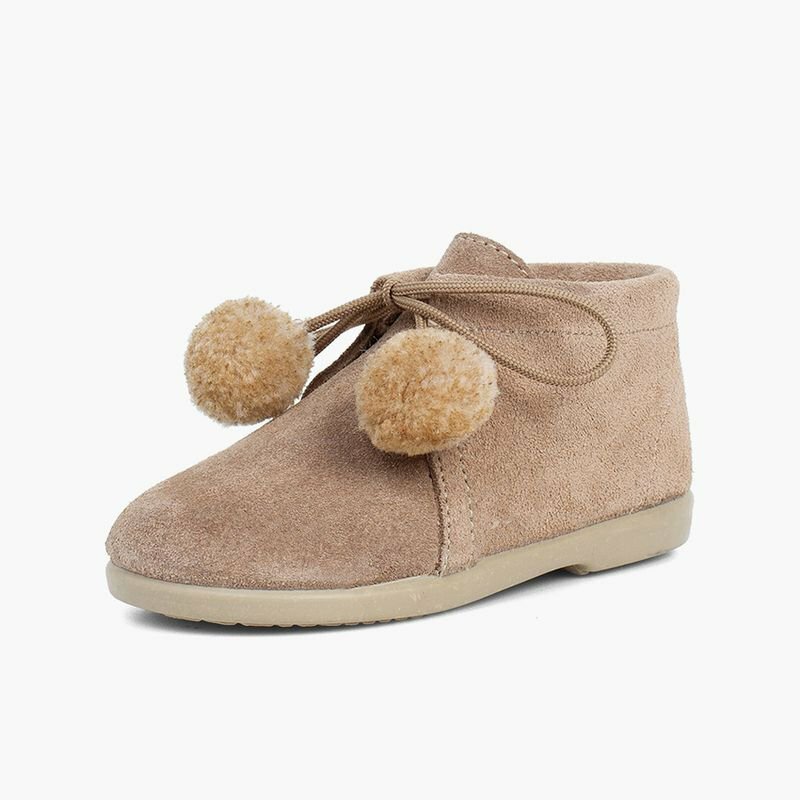 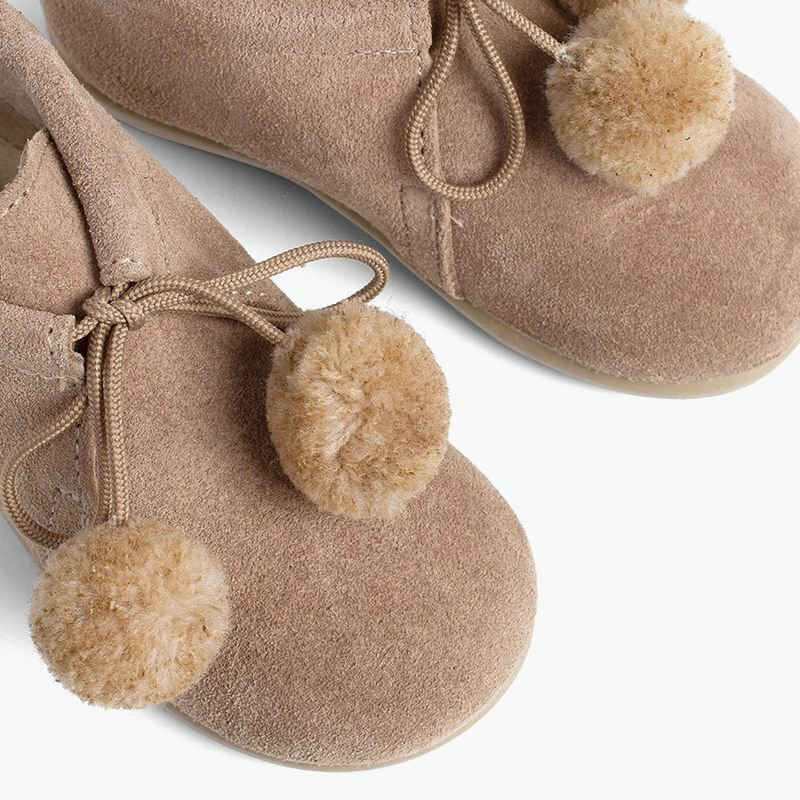 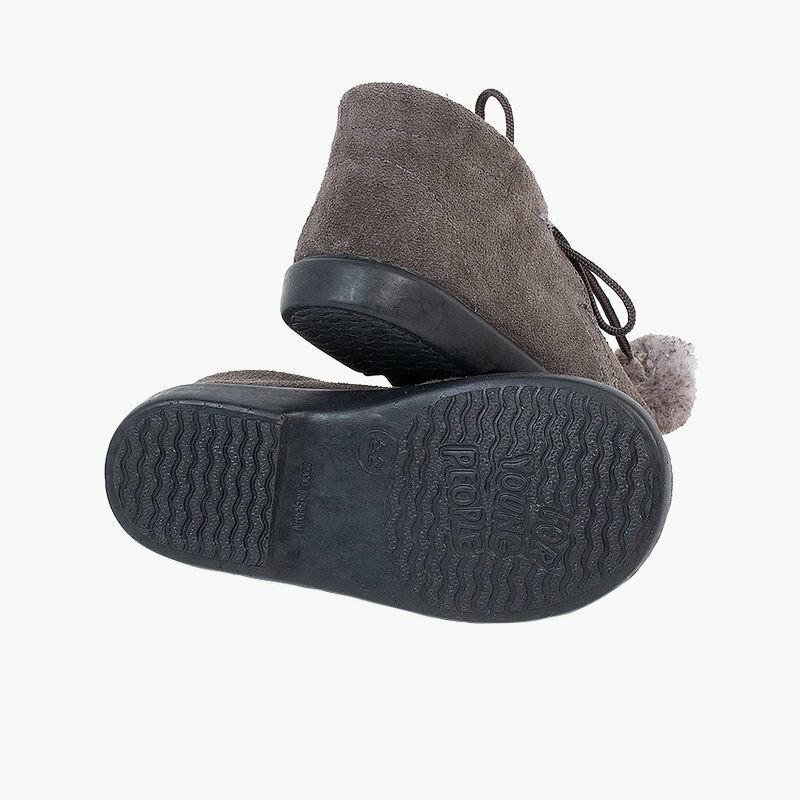 Made using soft suede leather to ensure comfort and proper movement of the feet and featuring two pompoms on the laces, these booties for your child's first steps are the perfect accessory for your children's autumn/winter look. 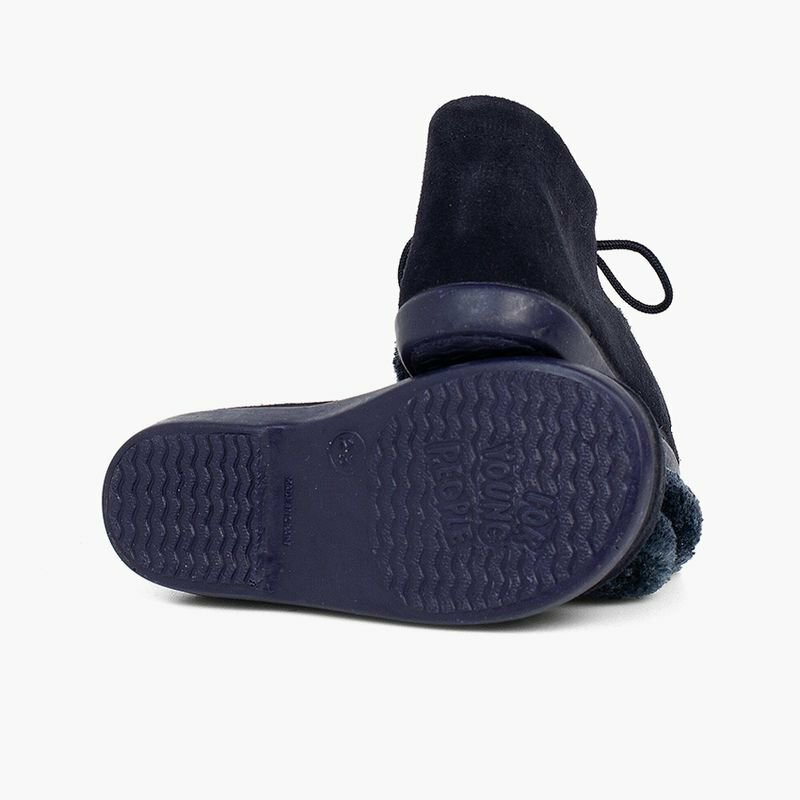 This classic bootie is a unisex model available in navy blue, taupe or grey and with sizes from 19 to 26 that can be used as both everyday wear with more casual clothes and also when dressing up for the most sophisticated of events! 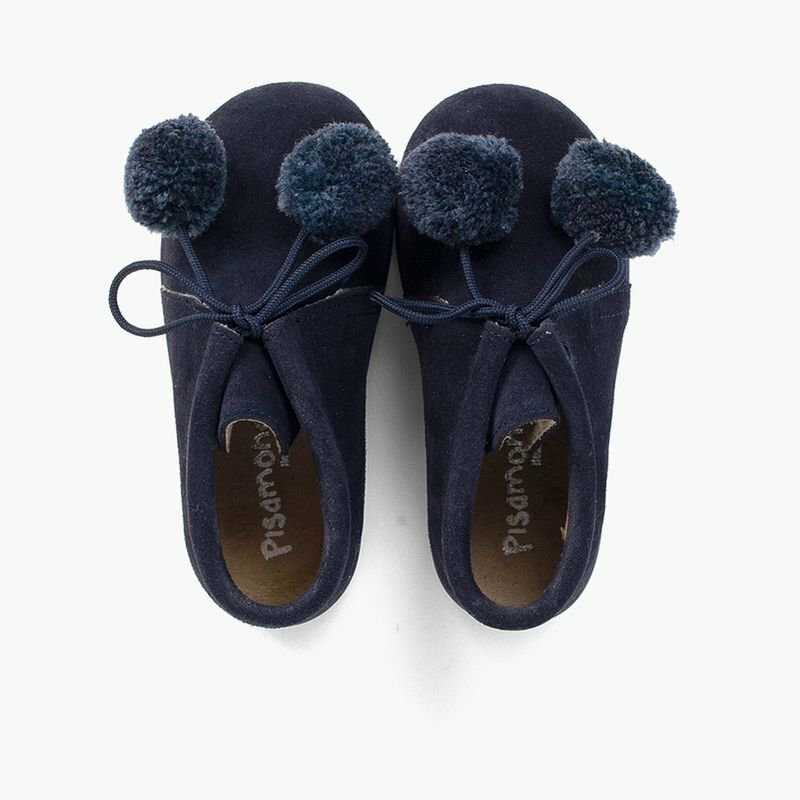 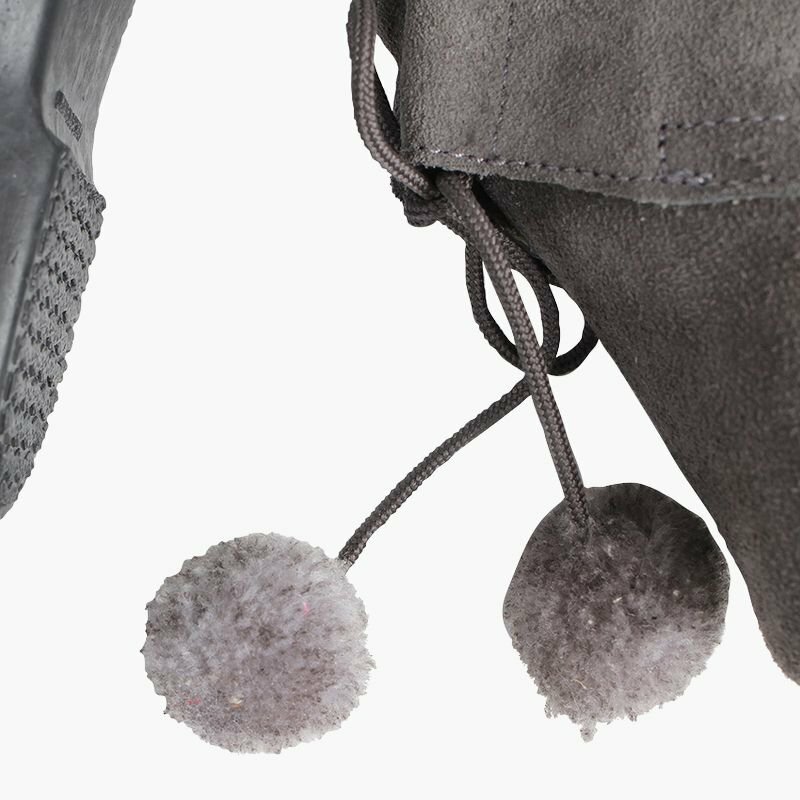 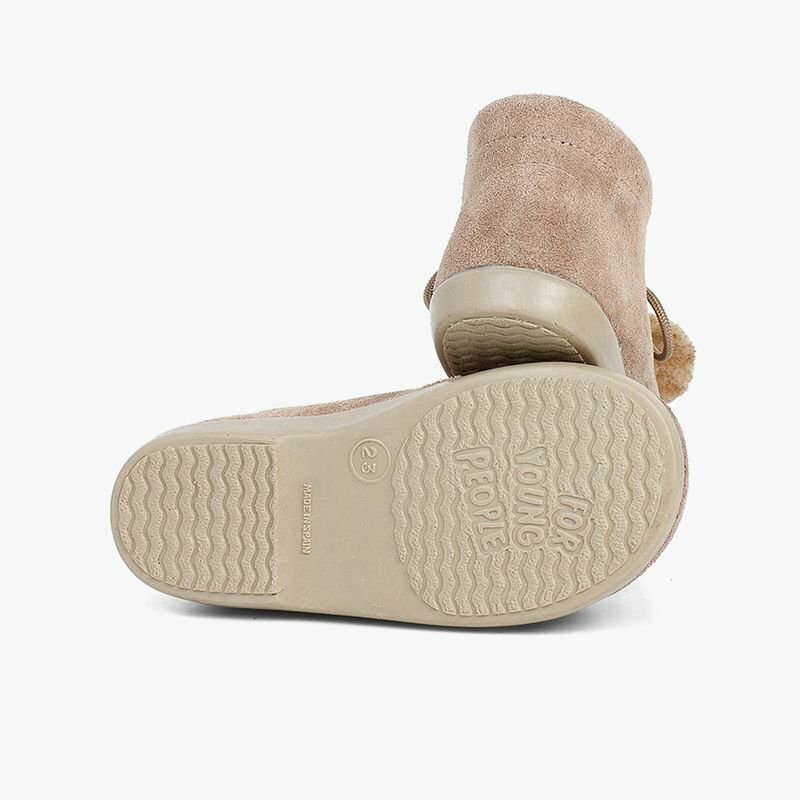 If you have any questions about what size to buy in these booties with pompoms, check out our size guide that you can find just below this description and if you buy them and then find that the size is not right, you don't need to worry about a thing! 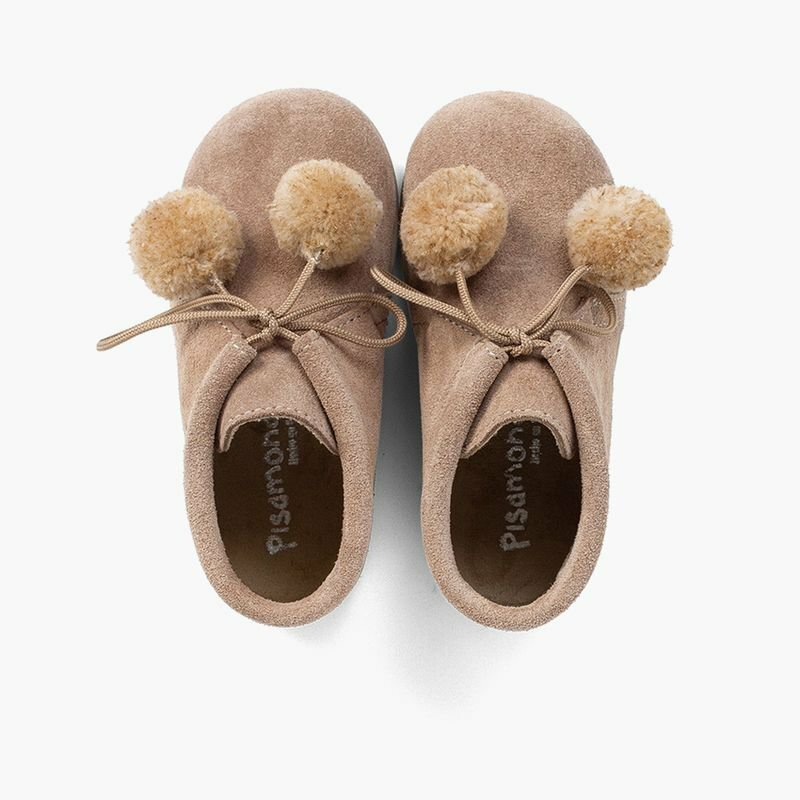 Here at Pisamonas, exchanges and returns won't cost you a thing and neither will shipping!